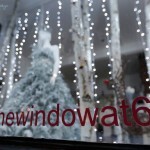 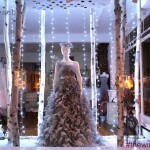 Home » Blog » Nobody does fantasy Christmas windows quite like ‪#‎thewindowat62‬! 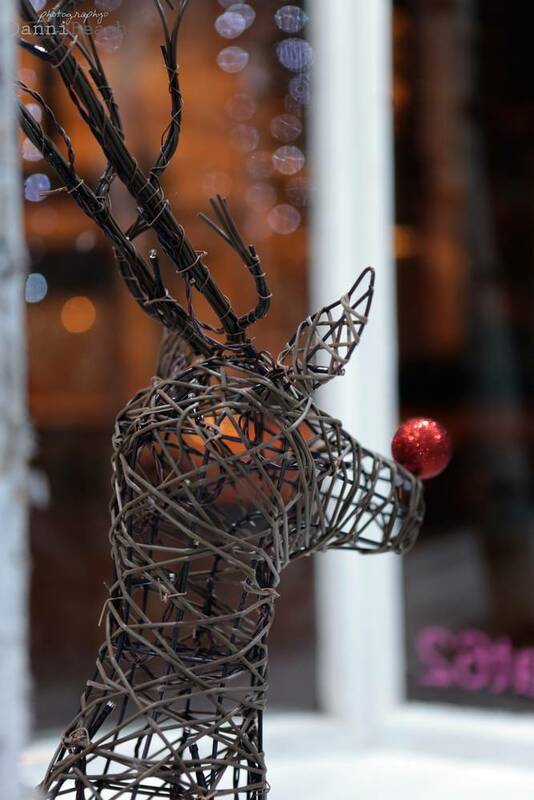 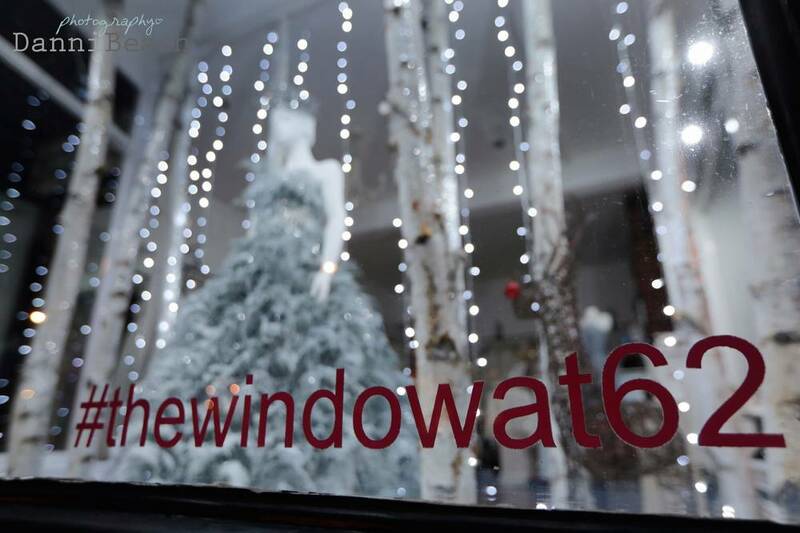 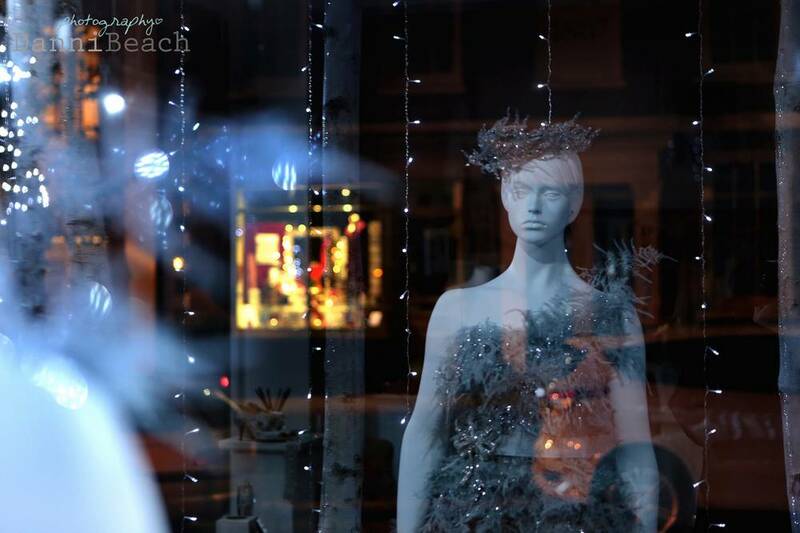 The oohing and aahing among street admirers hit overdrive last night as our latest Christmas window display lit up Lindfield high street. 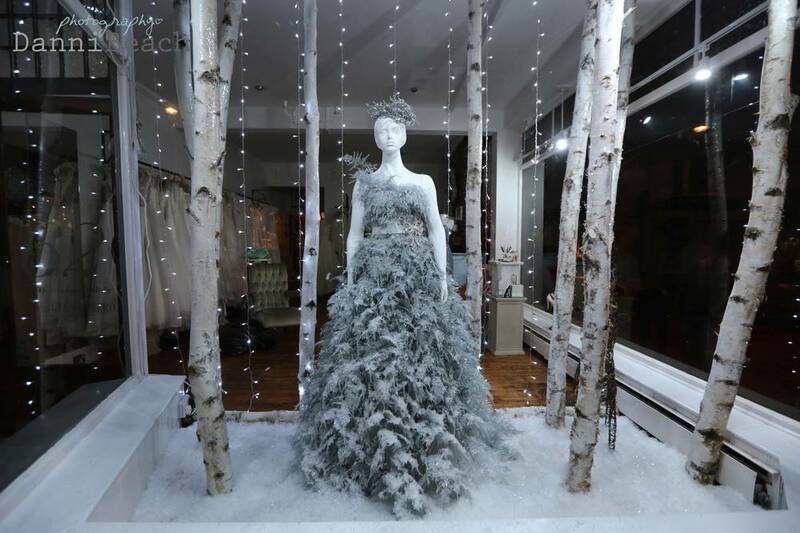 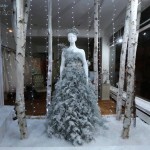 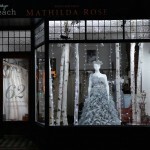 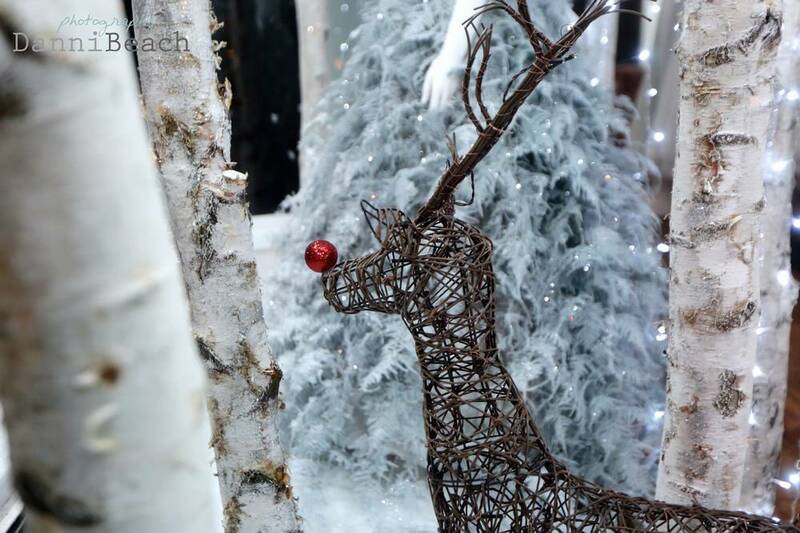 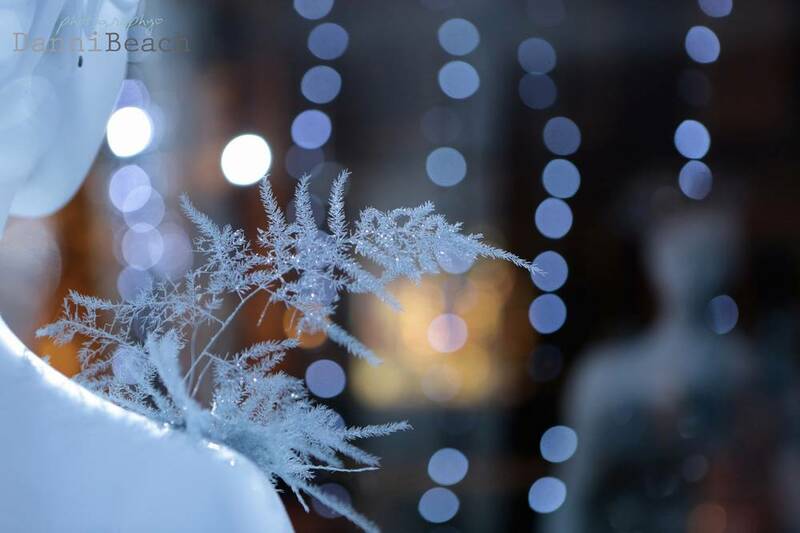 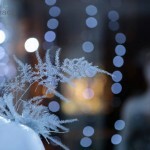 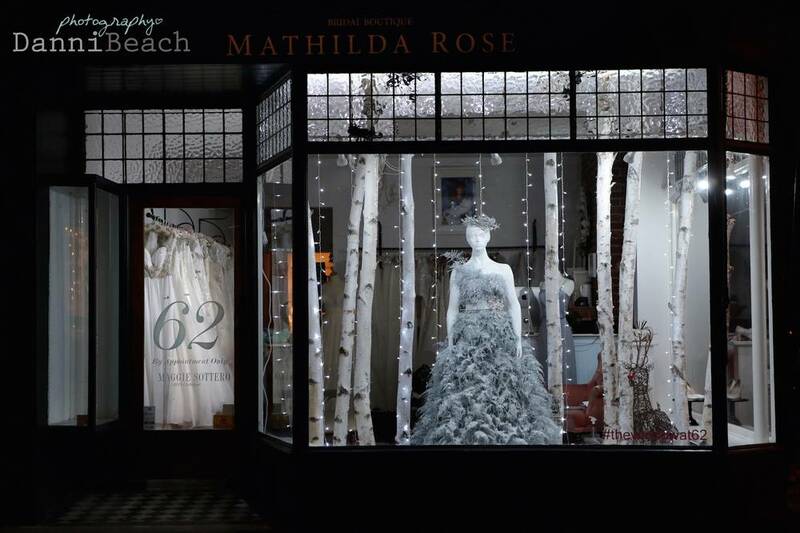 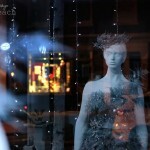 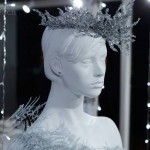 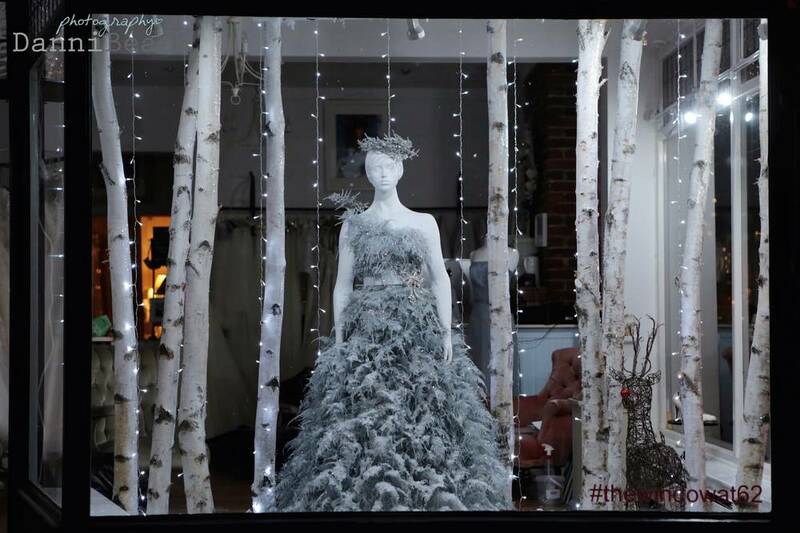 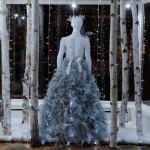 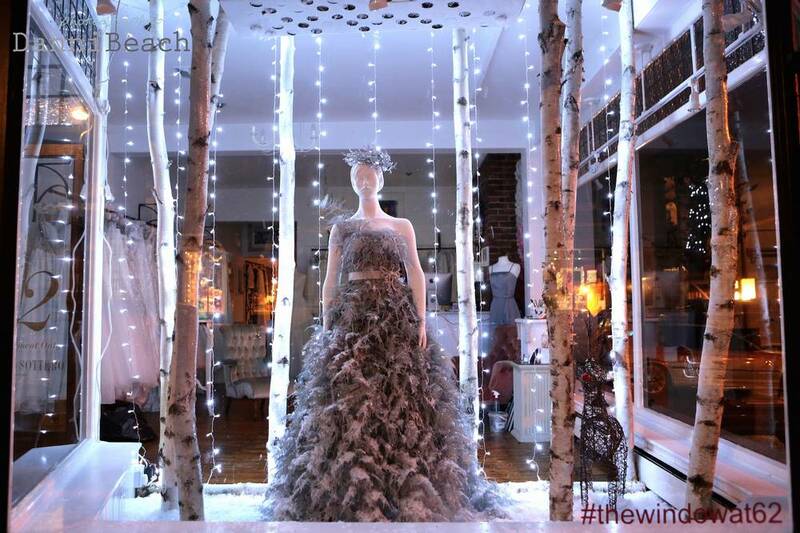 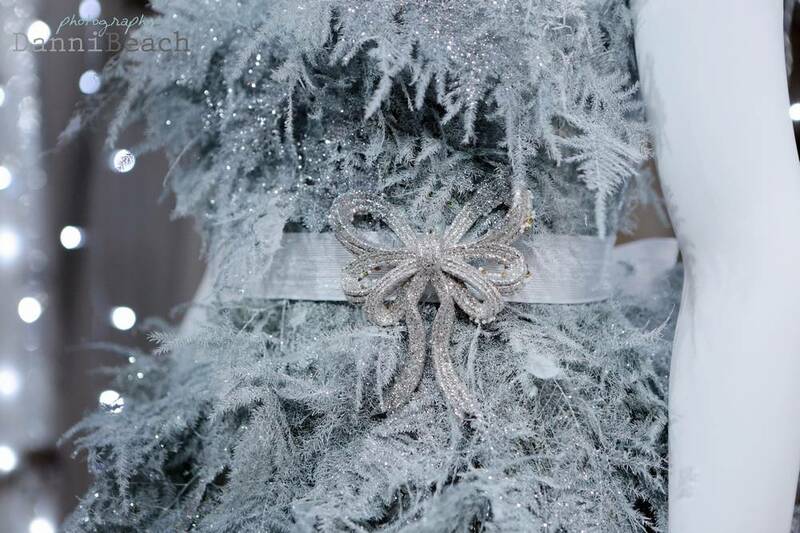 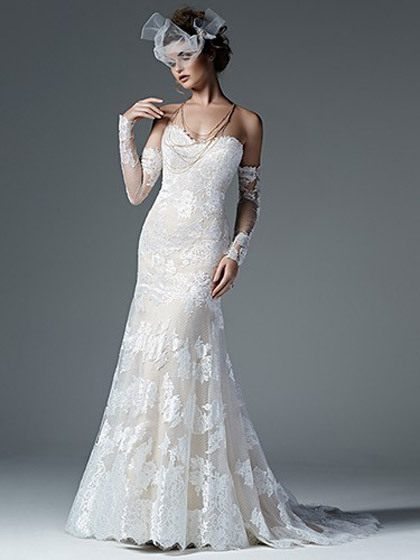 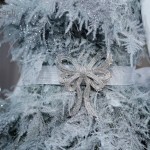 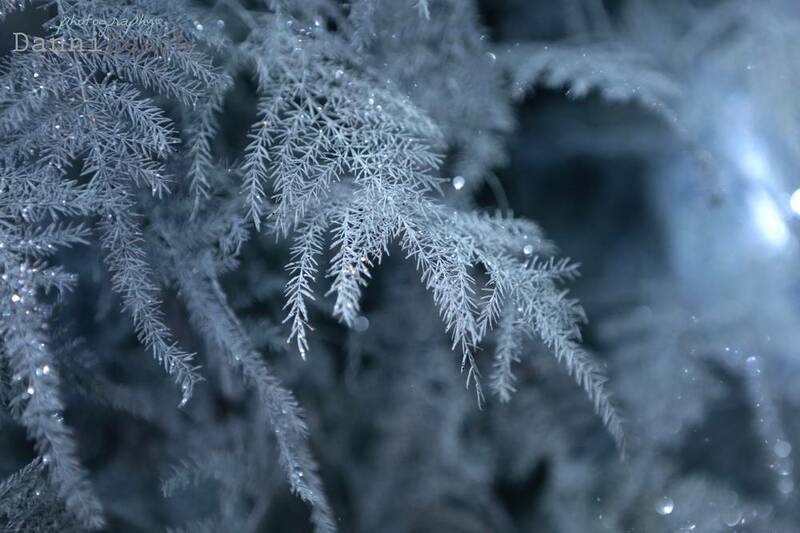 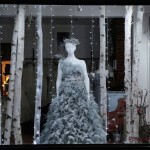 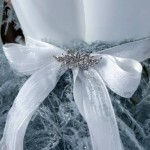 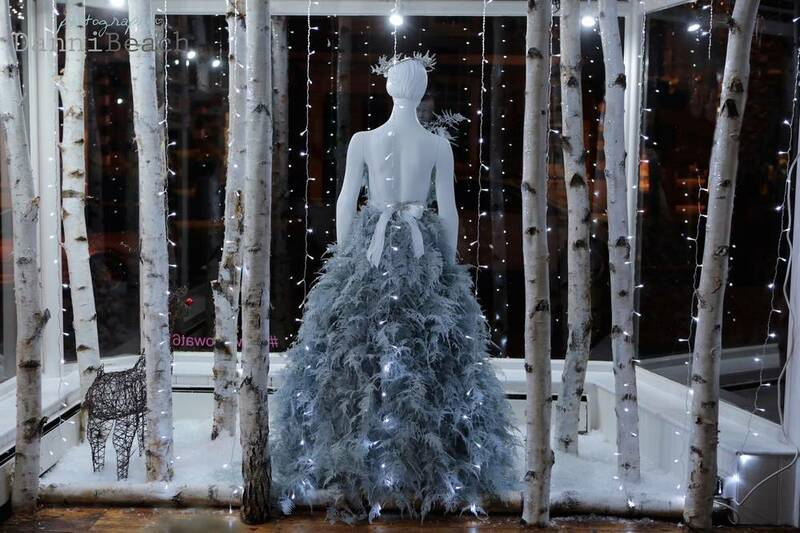 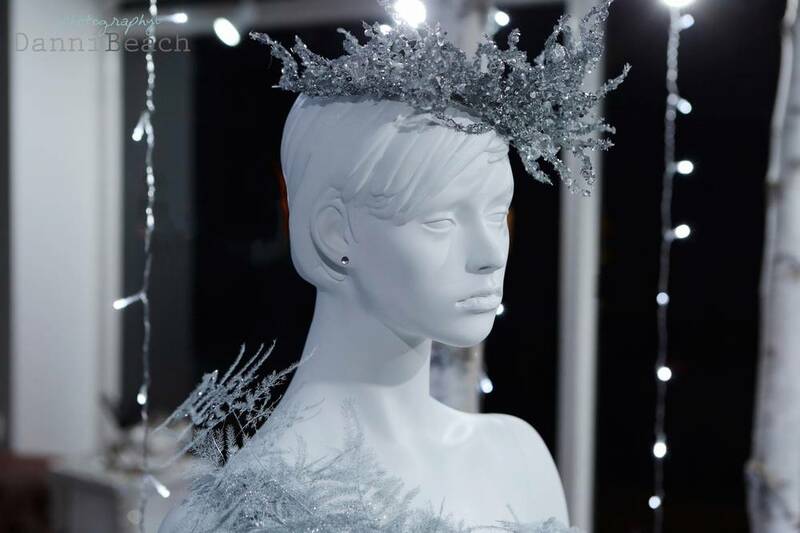 The elegant Snow Queen, splendid in the hand-made foliage embroidered dress stands majestically amongst white twinkling icy silver birch trees with a backdrop of pretty cascading white fairy lights. 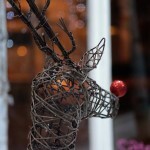 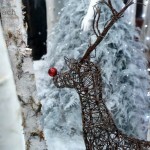 Nestled amongst the trees a handsome reindeer with a glowing red nose. 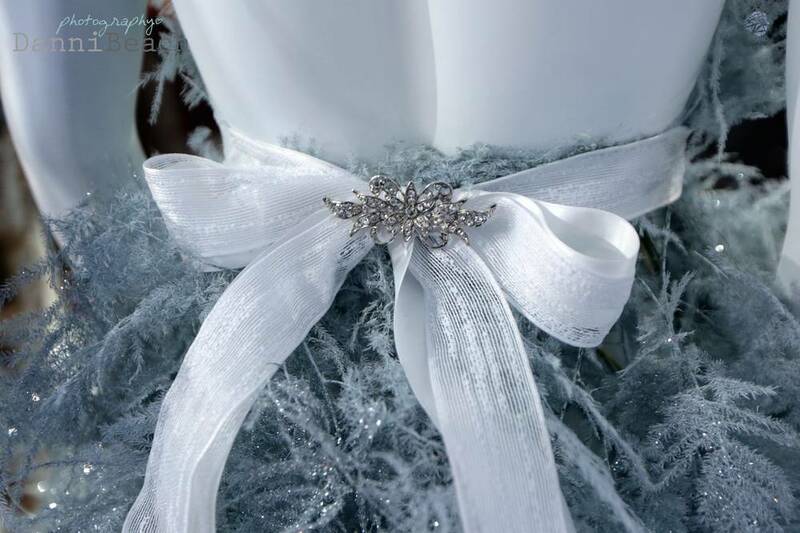 Styling and creative credits: Danni Beach Photography, Flowerbug Designs & Mathilda Rose.